Remember when you were little and wanted to go out and play in the snow? Your mom would dress you in so many layers that you couldn’t move? 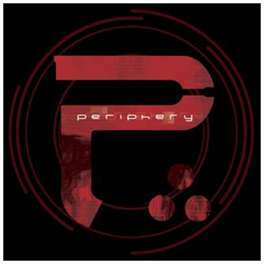 Well, a Periphery album has just as many layers, minus the uncomfortable, confining feeling. The six piece band just released their sophomore album entitled Periphery II: This Time It’s Personal on Sumerian Records. It’s the follow-up to their self titled debut that was released in 2010. Periphery has been labeled as progressive metal band, but they are also a part of the djent movement. It’s a complex genre with multiple layers of playing combined with loops and fretwork so intricate that it makes the heads of Justin Beiber explode from pure awesomeness. They have raised the bar on this new album and I am quite sure that those who bought their first album will love this one. The album opens with “Muramasa”, an electronic flavored number until the guitars come crashing in near the one minute mark. That’s when the intensity starts and the fun begins. Lead singer Spencer Sotelo goes from a smooth singing voice to an aggressive scream style and really changes the song up. “Have a Blast” has an odd intro that sounded like that annoying Owl City “Fireflies”, but luckily that didn’t last too long. Then, someone must have cranked the energy to 11 because the song just takes off with intensity and power. My only complaint on this song is that when Spencer’s vocals go from screaming to a clean vocal, it takes away from the song just a bit. I wish he would have kept the scream vocals for the entire song. “Facepalm Mute” is definitely a standout track on the album. It’s in your face, balls to the wall riffing and intensity. Oh, let’s not go any further without giving drummer Matt Halpern a major shout out. The guy is a beast and he beats the skins in this song like they owe him money. Then, at the 3:15 mark, the band hits the breaks and goes into a type of mellow, electronic infused breakdown. The song continues and finishes out on a mellow, trance like note. “Erised” may be the most commercially sounding track on the album. Where it may lack in intensity, it makes up for it in passion and delivery, plus some pretty tasty shredding as the song starts to fade out. “13 Mile Zero” has some insane riffs throughout the entire song; one layer on top of another. The band hits the brakes at the 2:32 mark and slows things down. It’s a nice little breakdown, but it doesn’t last too long before the riffage begins again. The band is growing and it’s evident all throughout the new album. The rhythm section of Adam Getgood on bass and Matt Halpern on drums is tighter than ever. Jake Bowen is a very effective triple threat as he plays guitar, synth and supplies electronic programming. I’ve already sang the praises of lead singer Spencer Sotelo. Last, but not least, is the amazing guitar work of band founder Misha Mansoor. He can go from shredding that will melt your face off to a slower, more melodic style in the blink of an eye. Periphery pushed forward on this new album. They probably could have played it safe and stuck to the exact formula that won them praises for their debut album, but they didn’t. They decided to push themselves and raise the bar. I’m not sure what made this new album personal, but no matter the reason, it definitely suits this band’s sound really well.